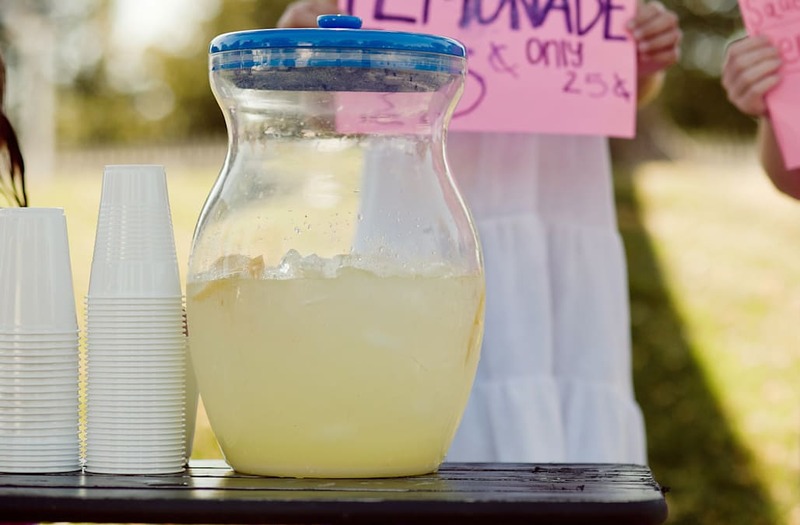 MONROE, N.C. (AP) — A teenager who held up a North Carolina lemonade stand for $17 was still at large Monday, and authorities said they hoped to track him through surveillance footage and possible DNA and fingerprint tests. Neighbors were asked to check their home security cameras for possible clues, said Union County Sheriff's Office spokesman Tony Underwood. He said a camouflage hat and BB pistol found along with a metal cash box was found in some nearby woods and could be checked for fingerprints and DNA. The 9-year-old lemonade vendor said a teenager wearing a similar hat and a black shirt pointed a black handgun at him and took his cash box Saturday afternoon in Monroe, about 30 miles southeast of Charlotte. "We think we are making positive traction" in the investigation, Underwood said. Neighbor Kelly Smith said she noticed the boy's stand with its yellow sign offering "organic lemonade" at a traffic roundabout at the entrance to her planned community as she left to pick up her daughter at taekwondo class. She said she intended on patronizing the boy's business when she returned, only to find him gone and a half-dozen patrol cars on her street. "It's heart-wrenching. That little boy will never be the same," Smith said. Smith said she suspects the robber may be from her neighborhood because there are no stores or much of anything else nearby. Local resident James Castellano said he bought a drink from the boy Saturday morning and snagged one of the young entrepreneur's business cards. The boy's card describes him as an "organic lemonade stand operator, designer, dog walker, reptile caregiver, lawn mower, professional ring bearer." The 9-year-old set up his lemonade stand again at the neighborhood pool on Sunday and did a brisk business, Smith said.